Siglent SPD3303C - High-performance 220W, 3-channels programmable linear DC power supply (30V/3.2Ax2, 2.5V/ 3.3V/ & 5V/ 3.2Ax1), Min. resolution 10mV/10mA. 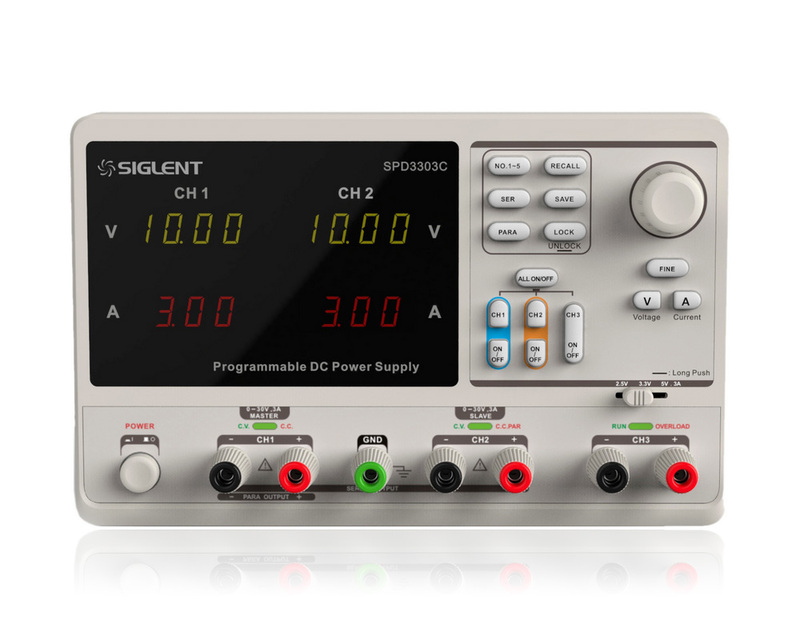 SPD3303X-E - High-performance 220W, 3-channels programmable linear DC power supply (32V/3.2A×2, 2.5V/3.3V/5V/3.2A×1), Min. resolution 10mV/10mA.